credit: Fafnir Adamites, grant recipient for exhibition "Suspended Echos"
The Northampton Arts Council has set an October 16 deadline for organizations, schools, and individuals to apply for grants that support arts activities in the community. According to Council spokesperson George Myers, these grants can support a variety of artistic projects and activities in Northampton -- including exhibits, festivals, field trips, short-term artist residencies, or performances in schools, workshops, and lectures. 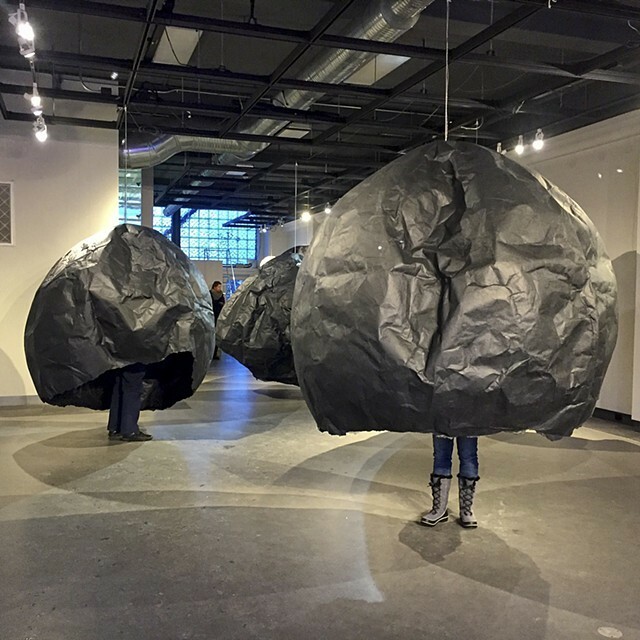 In Fall 2016 the Northampton Arts Council awarded 27 grants totaling $11,650 in support of a variety of projects from funds allocated by the Massachusetts Cultural Council’s LCC program. The caliber of applications in 2016 were outstanding, and we were unable to fund many worthy projects. The Arts Council received 55 requests for almost $58,828 of funding. Grants were awarded in the following categories: Dance, Film/Video, Literature, Mixed Media, Music, Theater and Visual Arts. A list of past grant recipients can be found here. For local guidelines and complete information visit our website http://www.northamptonartscouncil.org/p/grants.html. If you have questions please contact the Northampton Arts Council, contact Brian Foote or George Myers: arts@northamptonma.gov. Application forms and more information about the Local Cultural Council Program are available online at www.mass-culture.org.